Stefan Bergpaints from life, choosing subjects that are imbued with lived experience and memory, such as scenes of the east end of Toronto where he lives. 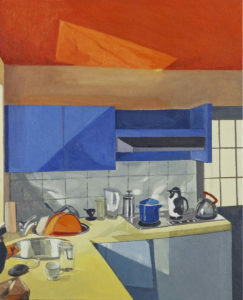 For example, the work for Art Gems depicts the kitchen in his parent’s home where he grew up. 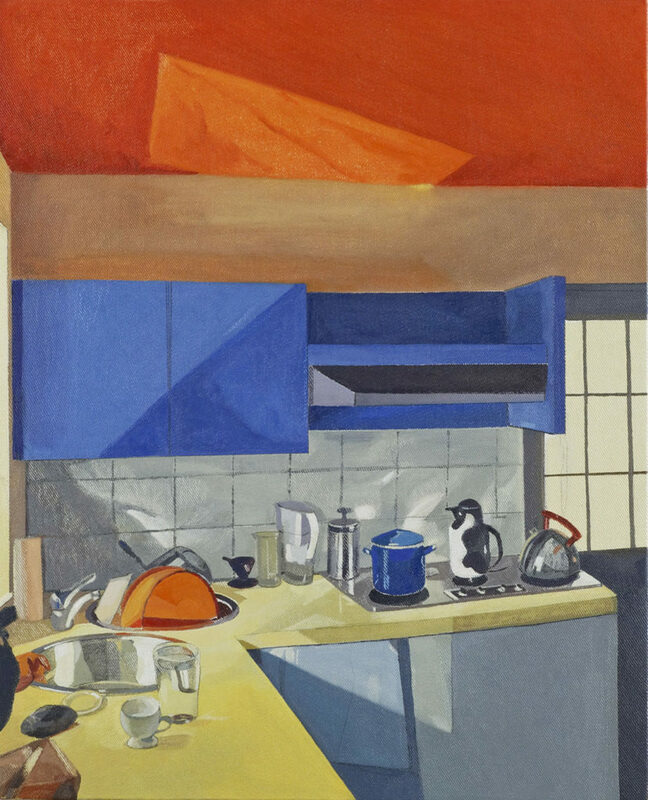 He is interested in the formal elements of his subjects: the geometry of light and shadow and the passing of days and seasons throughout the course of the painting. The evidence of time is visible in the surface of the painting: layers of paint and re-working captures the temporality of the subject. Berg received a BFA from OCAD University in 2008. His work has been exhibited across Canada and the United States. He has received positive reviews in The Globe and Mailand the Toronto Star. He is the recipient of several awards, including the Solomon Painting Award and the Eric Freifeld Award, and grants from The Canadian Council for the Arts, The Ontario Arts Council, and The Toronto Arts Council, support he gratefully acknowledges.